Booklets Printed in Full Color on Uncoated 70lb Text Stock with saddle stitched binding. Booklets Printed in Full Color on 80lb Book Magazine Stock with AQ Semi-Gloss and saddle stitched binding. Booklets Printed in Full Color on 100lb Book Magazine Stock with AQ Semi-Gloss and saddle stitched binding. Booklets Printed in Full Color on 100lb Cover Stock with AQ Semi-Gloss and saddle stitched binding. 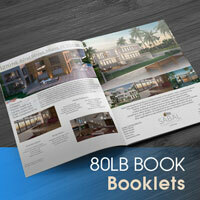 Catalogs Printed in Full Color on 100lb Cover Stock with 80lb Book Inner Pages with saddle stitched binding. 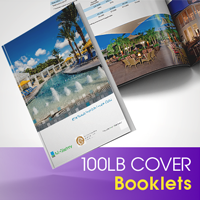 Catalogs Printed in Full Color on 100lb Cover Stock and 100lb Book Inner Pages with saddle stitched binding. Catalogs Printed in Full Color on 10pt Card Stock Cover and 80lb Book Inner Pages with Perfect Binding.